All of our MLILY mattresses are CertiPur-Us certified. This certification means the foam is not sub-standard. The mattress are toxin free, and contain no mercury, lead, heavy metal, formaldehyde, methylene chloride, or PBDE. The certification process wad developed by leading environmentalist and quality mattress makers. Go to the CertiPur-US website for more information. 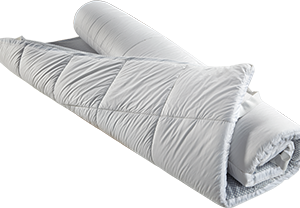 We have two-sided flippable mattresses to extend the life and comfort of your mattress. You can't find that at the national chains! Our mattress are 100% American made.